Perfect for aligning drawer fronts. Attach the drawer front to drawer, tighten enough to keep in place. Close drawer, align accordingly. 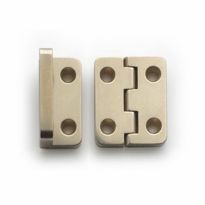 Oversized 1/2" diameter head allows movement around 5/16" adjusting hole. Square-x heads. Zinc finish. Type-17 point helps screw penetrate solid wood drawer fronts. These are similar to the drawer front screws we used for 20 yrs. at the cabinet shop where I was employed. I like these because they have square-drive/Philips combo heads and are self-drilling to some extent. (but not in hardwoods). The Phillips slots are sub-standard but the square drive recess works great. Just used them on a vanity. Work fine but not a lot of adjusting allowed. Like the inserts with a loose nut better. With no pre drilling required, even in oak, these screws were fast and fool proof. While I didn't need the adjustability feature, that is a plus if you need it. 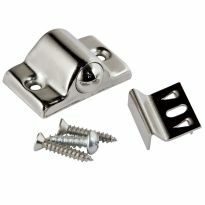 These screws work great to hold on drawer fronts and even some table top applications. They seem to hold well even though not too deep in order to not go through the drawer or top. Couldn't find any alternative 1 1/8" screws; these worked perfectly. Roight screw for th right job. the wide flat screw head allows easy adjustment of the face trim on drawers. Good security and flexibility at the same time. Bought these to mount some false fronts to drawers that were going to be mounted in a flush front cabinet. Knew I would probably need some adjustments to be made. Drilled a slightly oversize hole and was able to adjust to have a consistent gap all around. Washer head works well for this and the screws drove into oak pretty easily with the self-tapping tip. I did drill small pilot holes to make it easier. Excellent performance. Square drive allows positive connection between screw head and driver. No slippage or strip out of the head. I use them to attached 1/8" hardboard panels to the front of benchwork. Washer head keeps the screw head from pulling through the thin hardboard. Highly recommended for this application. These are the way to go. There are a lot of hard ways to install a full-inset drawer face, but these worked like a charm for me. I've looked so many places for this type of screws. 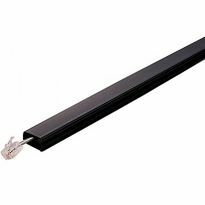 They come in handy for furniture use, especially when you are securing top surfaces you don't want the screws to come through. I am all about being able to adjust drawer fronts, and these make it possible. I have used the 20mm cams, but these are much simpler, and the square drive heads rarely strip. I used 32 of these this afternoon to screw walnut pulls onto oak drawer fronts. They worked great, and took quite a bit of torque without any problems. Sure, they're just screws, but it's nice to use a quality product no matter how simple it is. We have found this screw to be excellent in sealing up crates with expensive electronic assemblies in side. 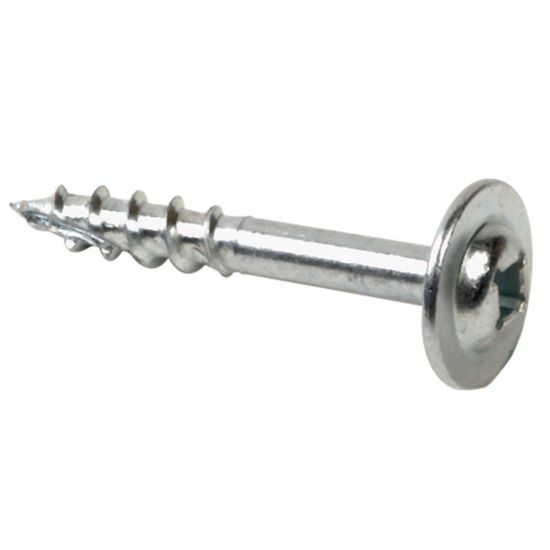 We use wood sides and Tri-wall tops and bottoms and these screws hold well and don't pull through the Tri-wall. Works great on cabinet drawer fronts. 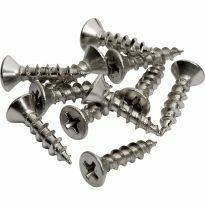 screws are made specifically to install drawer fronts. Could not find them locally at Menards. It is convenient using without washer. Best way to space drawer fronts, and regular screws are not the same. Large head and larger drill hole allow for some adjustment of drawer face. Perfect for the cabinet drawer construction I am doing. I use these screws to attach/hang thin stock so that I do not need to use washers. 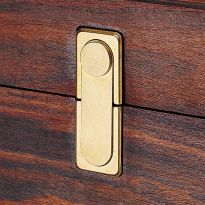 I like these for drawer front installation. Will have to see on this, but want to try them for drawer fronts. NEED TO MOUNT DRAWER FRONTS. Looking for a reliable drawer front screw that would give me a little bit room to adjust in case drawer front does not fit perfect. To go along with the drawer front installation clamps I am ordering. To provide more adjustment for the draw fronts once I have drilled the holes into the draw boxes. To attach red oak drawer facings to drawers. Building cabinet drawers and thought it would help. Attached my custom cabinet drawer fronts. Great for attaching drawer fronts. Also useful for other misc jobs. What length screw is needed for a 5/8" drawer box with a 3/4" front? BEST ANSWER: That's a total thickness of 1 3/8 so you could probably use either the 1 1/8 or 1 1/4 depending upon how close your measurements are to exact.